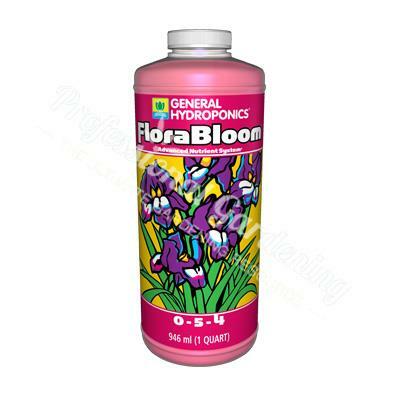 FLORA BLOOM 0-5-4 1L / 1 QT Flora Bloom stimulates fruit development. It enhances flavour, aroma and essential oils. Flora Bloom provides high phosphorous, potassium, magnesium and sulphur. Perfect for increasing flower production. Allow others to contact you regarding your opinion of this product? Quality Wholesale Limited © 2018 - All Rights Reserved.